I met with John Mara and Steve Tisch this afternoon, and I informed them that it is in the best interest of the organization that I step down as head coach. I strongly believe the time is right for me and my family, and as I said, the Giants organization. 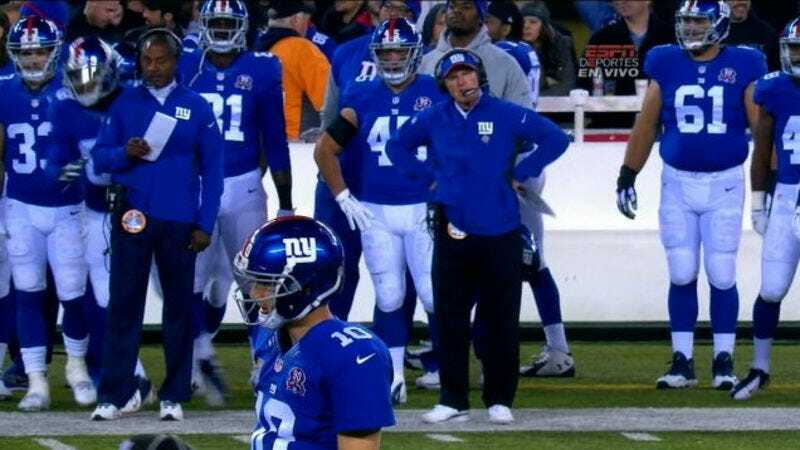 It has been an honor and a privilege to serve as head coach of the New York Football Giants. This is a not a sad occasion for me. I have spent 15 years with this organization as an assistant and head coach and was fortunate to be part of three Super Bowl winning teams. A Lombardi Trophy every five years is an achievement in which we all take great pride. Obviously, the past three years have not been what any of us expect, and as head coach, I accept the responsibility for those seasons. I think it has been evident these last 12 years here how much pride I take in representing this franchise. I am gratified and proud that we were able to deliver two more Lombardi trophies to the display case in our lobby during that time. That is a tribute to our players and staff, and it was truly fulfilling to be the leader of those teams. Coughlin hasn’t mentioned retirement—he’s still spry, at 69 years old—so he might stick around for an opening at another team. While that process plays out, let’s remember the fond memories. 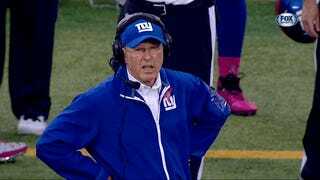 Who can forget the time rookie punter Matt Dodge messed up, and Coughlin yelled at him in the middle of the field? How about that time Coughlin was in a fight with Siri? Yeah, that’s what happened. 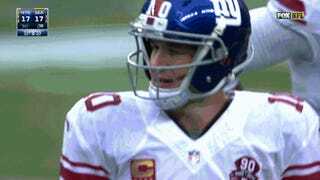 Coughlin can find relief in never having to worry about another Eli interception again.